Hi Everyone- Thanks for your feedback and comments. We use the point threshold system on Idea Exchange only to help manage expectations around when you can expect an update posted to an Idea. Ideas and features get prioritized for delivery a number of different ways, and point value is only one of those inputs. Indeed, we have Ideas delivered every release as with as few as 10 points. The point threshold is set at 2,500 points (250 votes), however let me see if I can get an update for you on this particular idea. I'll post one as soon as I have more info. Want to learn more about our the new changes?? View the new Idea status options and the communication timeframes associated with each. Any feedback on the implementation of this idea? The latest comment from a Salesforce representative was posted 3 YEARS AGO and we haven't heard since. 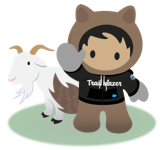 This modification to Salesforce is really critical for multi-currency global companies and I'm sure that a lot of Salesforce customers are global companies in need of this feature. Please provide an update as to when we can expect this modification to be implemented in the platform. I can't believe that such a crucial feature for international companies like ours isn't implemented from the very first moment. We have a multicurrency org and really need this functionality. this would be great to have. but with the spring 18 release there is a workaround that you can do to achieve this for the time being. you can build a USD field on the object (and fields) you need to bucket. Then use that field in your bucket! Hope this helps you all out. This is getting more and more painful for us. Please provide this feature! Another pain when you're in a global multi-currency org. there is a hack / approach that allows you to filter on converted currency fields by adding the ISO code to the amount, ie 100 EUR. but that doesnt work for bucket fields b/c you can only enter numbers, not text, on the criteria. PLEASE make this happen. reporting on your data is rather important. can we at least get an update? 2 years is a long time! We have a multicurrency org and really need this functionality, please push! I have a use case where we want to do an analysis of products shown/ sold by the price slab. As we allow purchases in multiple currency options in various geographies in our store, it is very difficult to achieve the report in spite of having converted amount field in the report. I'd be very happy to know if this feature is coming soon in next releases so that we can avoid custom development.